What’s all this really about? What will really bring me long-lasting happiness? What will finally and forever create the love and ecstasy I imagine in my relationship? The answer is simple. Find your true self and bring yourself wholeheartedly to life and your relationship. When you do this, you’ll actually discover that you already have access to everything you ever wanted, that you are whole and complete within yourself and that you need no one and no thing to complete you. I know that may sound “easier said than done” and you just have to start. The first habit to develop in being fully you is… You must make friends with the parts of you that you have denied and hidden away. Just because you hid them away, does not mean they disappeared. Sorry! And here’s the really special part… as you make friends with your hidden parts, you’ll discover the parts you thought you didn’t have! You’ll find confidence, wisdom, compassion brilliance, discipline, and even happiness. When you open wide to your wholeness everything you’ve been seeking just waiting there for you to dive into and enjoy for the benefit of yourself, your lover and the whole of the world. It just takes one step. 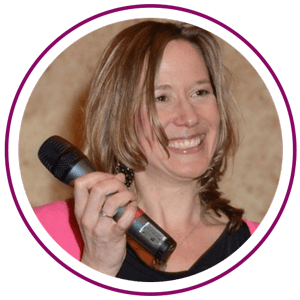 There was a woman in our last Passionate Partnership class who – in a heartbeat – discovered her wild side that had been hidden away and in that moment she changed the whole room and likely the whole world. Watch it happen for yourself about half-way through this 3 minute video clip. When you bring your wholeness to this moment, when you bring your true authentic self to this moment, the world rises up to meet you and all peace, love, ecstasy and more will be yours. I wish this for each and every one of you. Sexual Personalities: Are you Expressing Yours?